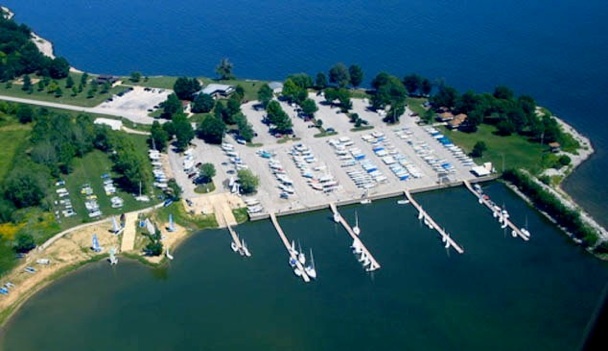 Carlyle Sailing Association, on Carlyle Reservoir - 7 x 3 miles of water, the largest inland lake in Illinois. CSA has hosted many one-design class events including Nationals, Districts, North Americans and International Regattas. CSA provides strong Junior and Adult sailing education with camps, clinics and other events. The facility is spacious, with ease of access to beach launching in a protected harbor and hundreds of feet of floating dock. The Clubhouse provides ample room registration check-in and Saturday Brunch. There is a separate restroom/shower facility, playground, large outdoor grills, and a pavilion with picnic tables for the Saturday dinner.